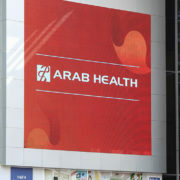 This year’s Arab Health took place from 28.01.-31.01. in Dubai. Frank Schiwek, Managing Director of Ecomedis medizintechnik gmbh, took the opportunity to get to know the trade fair, its participating companies and the environment better. “An experience that is second to none,” says Schiwek. Not only the environment impressed, but also the professional handling of the organizers with the visitors and their wishes and suggestions was exemplary. For Frank Schiwek it was important to meet customers and show local presence, as well as make new contacts with potential customers. Dubai also offers the opportunity to explore markets that may not be the focus of all OEMs due to its geographic location. 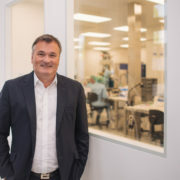 “Made in Germany” has a worldwide reputation in medical technology – especially in the area of ​​catheter production – which needs to be further expanded and strengthened. “Straight things can be displayed well on this platform,” explains Schiwek. The Stifterverband is a joint initiative of companies and foundations that is the only one wholly involved in advising, networking and promoting education, science and innovation. This association acknowledged Ecomedis Medizintechnik GmbH in recognition of its achievements so far and its innovative strength in the form of a quality seal. This acknowledgment is our driving force and responsibility at the same time to recognize and define niches in the field of catheter research and to develop medical devices that contribute to the well-being of patients, with the help of professional and scientific support. As part of a ZIM funding project (Central SME Innovation Program), Ecomedis has once again been selected as a project partner. 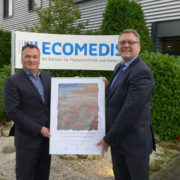 In cooperation with the University Hospital of the Saarland, the University Hospital Freiburg, as well as another industrial partner, Ecomedis is working on an innovative medical technology product. In this project, Ecomedis will be responsible for the development of the catheter, its certification and approval. 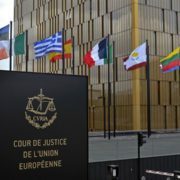 On May 25, the EU General Data Protection Regulation (GDPR) comes into force. For around 60,000 companies in Germany, this means that, in accordance with the Federal Data Protection Act (FDPA), all personal data of customers and suppliers received in the course of their business relationships must be managed, protected and documented in accordance with the regulations. Ecomedis has long been integrating the key points of the DSGVO into its quality management. Both interested companies / individuals and our customers need not worry about privacy. It has the same value at Ecomedis as the first-rate quality of our products. 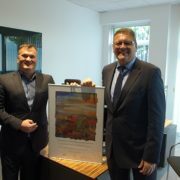 On the occasion of the 25th anniversary of Ecomedis medizintechnik gmbh, Joachim Brendel, head of the North Westphalia Chamber of Commerce and Industry, presented the anniversary certificate to managing partner Frank Schiwek on 27 October in a small ceremony. 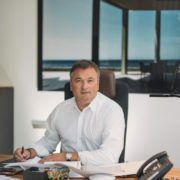 Schiwek, who has been in charge of the company since 2013, was pleased with the recognition and thanked him in this regard for the pleasant and constructive cooperation with different representatives of the IHK. Frank Schiwek, Managing Director of Ecomedis Medizintechnik GmbH, will join the German Economic Council from January 2018. The Economic Council of the CDU e.V. is a nationwide organized entrepreneurial professional association, which was founded in 1963. He represents interests of the business economy towards politics, administration and the public. In addition to his work in the state capital of Düsseldorf, Schiwek will also work in the state commission for health economics. “The principle of competition is the root of social, economic and social advancement in general,” said Ludwig Erhard, one of the co-founders of the Economic Council. Since 1963 he has been committed to the principles of the social market economy and entrepreneurial freedom vis-à-vis decision-makers in politics, administration and the public. The Economic Council of the CDU e.V. is legally independent and politically independent. As an entrepreneurial professional association, it is not a sub-organization of the CDU party, receives no financial support from it and does not provide it. This clear separation is monitored by independent auditors and the German tax authorities. With the expertise, which is bundled in many expert committees and is supported by a broad entrepreneurial membership, the Economic Council of the CDU e.V. is the regulatory conscience of Germany. The special emphasis of the association’s work is to convey the statutory, nonpartisan goals to policy-makers at all levels. Frank Schiwek, geschäftsführender Gesellschafter der Ecomedis medizintechnik gmbh, wird ab Januar 2018 dem Wirtschaftsrat Deutschland angehören. Der Wirtschaftsrat der CDU e.V. ist ein bundesweit organisierter unternehmerischer Berufsverband, der 1963 gegründet wurde. Er vertritt Interessen der unternehmerischen Wirtschaft gegenüber Politik, Verwaltung und Öffentlichkeit. Schiwek wird neben seiner Verbandsarbeit in der Landeshauptstadt Düsseldorf auch in der Landesfachkommission für Gesundheitswirtschaft tätig sein. „Das Wettbewerbsprinzip ist die Wurzel des sozialen, wirtschaftlichen und gesellschaftlichen Aufstiegs überhaupt“, sagte Ludwig Erhard, einer der Mitbegründer des Wirtschaftsrats. In seinem Sinne setzt er sich seit seiner Gründung im Jahr 1963 für die Prinzipien der Sozialen Marktwirtschaft und der unternehmerischen Freiheit gegenüber den Entscheidungsträgern in Politik, Verwaltung und Öffentlichkeit ein. Der Wirtschaftsrat der CDU e.V. ist rechtlich selbstständig und politisch unabhängig. Als unternehmerischer Berufsverband ist er keine Teilorganisation der Partei CDU, erhält von ihr keine finanzielle Unterstützung und leistet diese auch nicht. Über diese klare Trennung wachen unabhängige Wirtschaftsprüfer und die deutsche Finanzverwaltung. Mit dem Sachverstand, der in vielen Fachgremien gebündelt ist und getragen wird von einer breiten unternehmerischen Mitgliedschaft, ist der Wirtschaftsrat der CDU e.V. das ordnungspolitische Gewissen Deutschlands. Der besondere Akzent der Verbandsarbeit besteht darin, die satzungsgemäßen, parteiunabhängigen Ziele politischen Entscheidungsträgern auf allen Ebenen nahezubringen. Anläßlich des 25-jährigen Firmenjubiläums der Ecomedis medizintechnik gmbh übergab Joachim Brendel, Geschäftsbereichsleiter der Industrie- und Handelskammer Nord Westfalen, am 27. Oktober in einer kleinen Feierstunde die Jubiläumsurkunde an den geschäftsführenden Gesellschafter Frank Schiwek. Schiwek, der seit 2013 die Geschicke des Unternehmens leitet, freute sich über die Anerkennung und bedankte sich in diesem Zusammenhang über die angenehme und konstruktive Zusammenarbeit mit unterschiedlichen Repräsentanten der IHK. On August 1, 2016, Ecomedis medizintechnik gmbh will be moving into the company’s new office and production space. 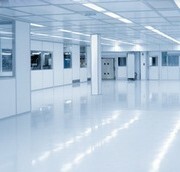 After almost five months of renovation and installation work, a modern clean room concept was put into place. This clean room concept complies with all the newest standards following both European and American guidelines (GMP- and FDA conform). This strategic enhancement puts Ecomedis in the position to fulfill even the most complicated customer requirements. Furthermore, it ensures that Ecomedis is the “State of the Art” facility for new and replacement investments in injection molding and precision machine technology. With increasing economic and regulatory challenges, this is the right choice to make in order to be well positioned for the future and to play a leading role in the medical market. Ecomedis always does this with a view to its customers, as we can only grow together. Where the quality of connections of different components plays an important role, Ecomedis is offering a validated UV-adhesive process. This process is based on the curing of solvent-free adhesive by UV-light. At first, the adhesive liquid is in an uncured state. This allows a targeted and controlled positioning. Thus the irradiation with a specific radiation is subsequently necessary. Ecomedis is using the systems of point- and surface emitters. The adhesive cures within a few seconds. The resulting compound has good adhesion and high resistance as well. Typical applications in the medical technology include the bonding of injection needles and hub as well as the bonding of catheter tube and hub. As a rule, they cure is both bubbles free and colorless to meet the high aesthetic claims of medical products.